Kaprosuchus was a prehistoric crocodile which lived approximately 100 to 95 million years ago during the Middle Cretaceous Period. 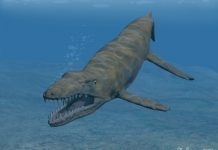 It was first discovered in 2009 in Africa by paleontologist Paul Sereno. However, the only part of this crocodile that he found was its skull. From its skull, paleontologists were able to figure out just how big it was and how it probably lived. 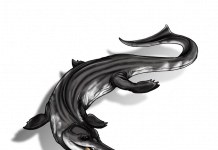 Sereno named it Kaprosuchus – a name which means “boar crocodile” in Greek. 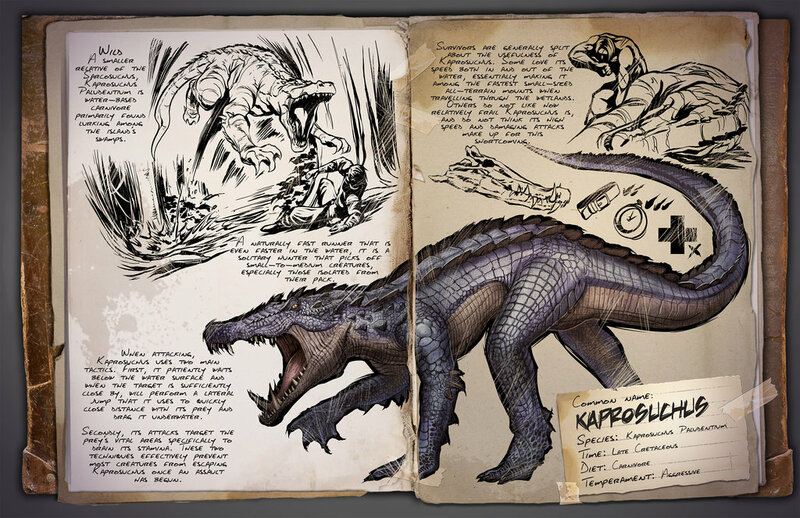 One of the most interesting facts about Kaprosuchus is that it was given its name because its skull had oversized tusks in its upper and lower jaws. 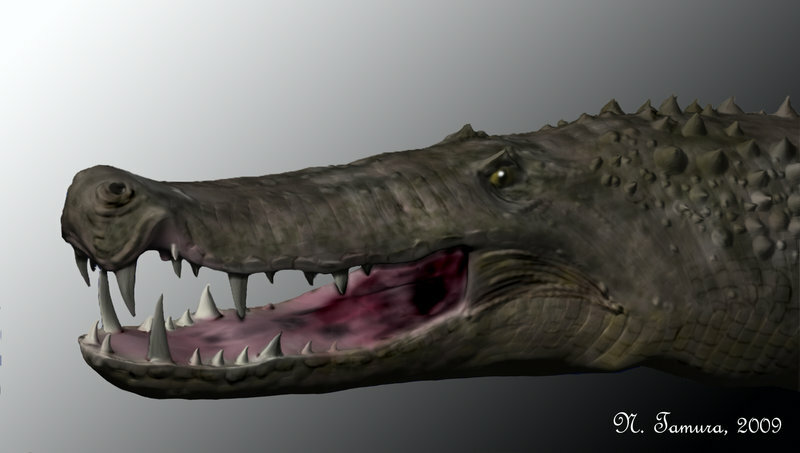 And these tusks are usually displayed quite well in Kaprosuchus pictures. 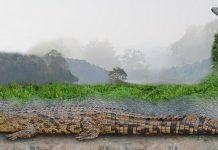 Which is a big clue to how these crocodiles hunted their prey. 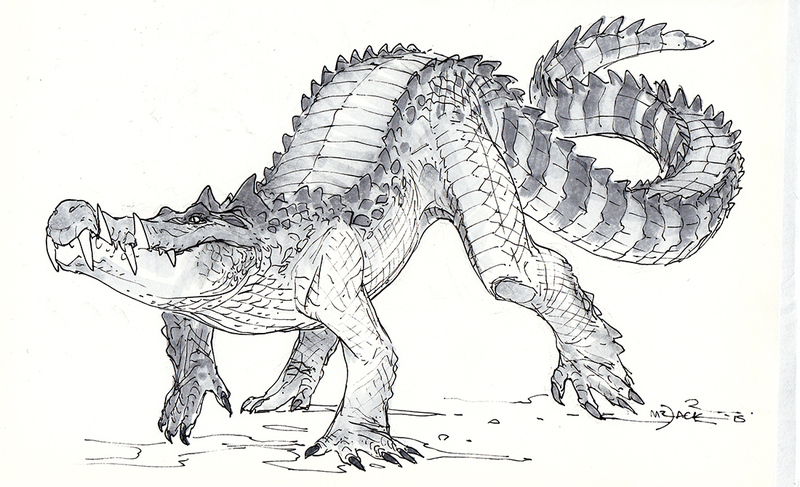 More than likely, Kaprosuchus didn’t just hunt around rivers and lakes. 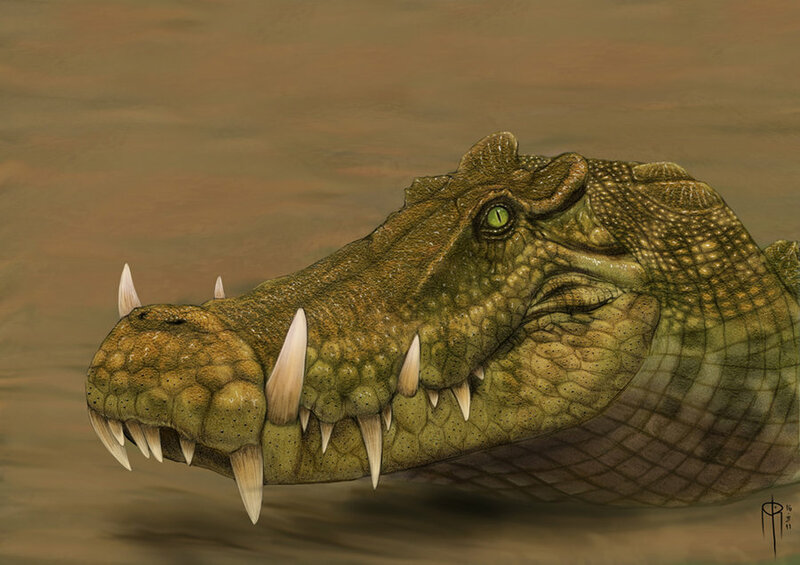 Paleontologists know this because this animal didn’t have the upward facing eyes a lot of prehistoric crocodiles did but instead had forward facing eyes – like most land-dwelling predators. This means that it probably wandered the African plains looking for prey – much in the same way large cats do today. Unlike big cats, however, it is highly unlikely that these animals hunted in packs. They were probably solitary hunters – like modern crocodiles. 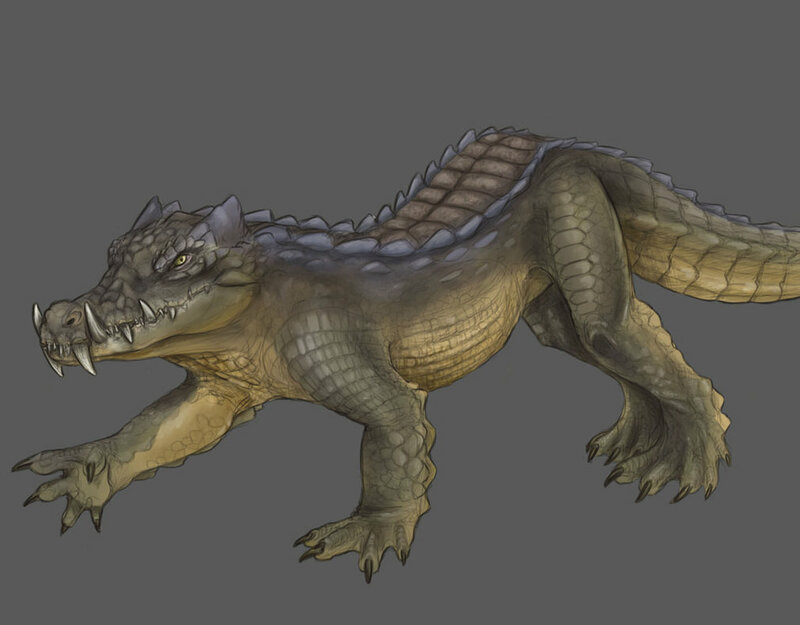 Once it found its prey, Kaprosuchus would then use its tusks to impale it and then use its mighty jaws to hold onto it. 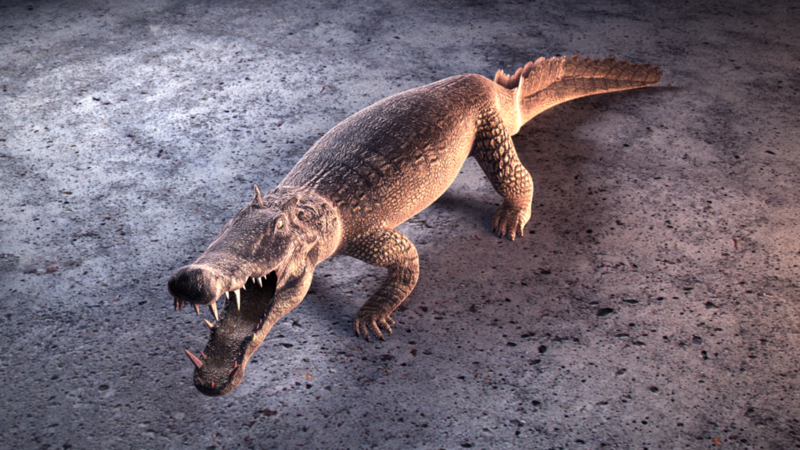 Kaprosuchus was approximately 20 feet long and weighed around 2,000 pounds. That made it slightly larger than a modern-day saltwater crocodile – which are about 17 feet long and weighs around 2,000 pounds. 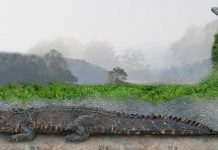 However, its legs were probably much longer than any modern-day crocodile and this also would have enabled it to travel long distances on land. 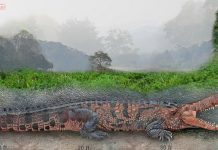 This prehistoric crocodile may have scavenged dead animals that it came across but it more than likely hunted most of its food. 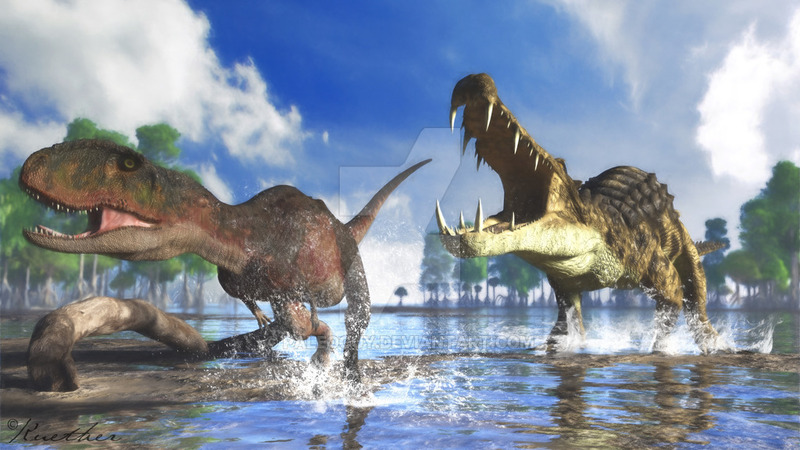 Some paleontologists believe that it may have eaten some of the dinosaurs that lived during the time, including the young of Spinosaurus. It may have also used its tusks to open dinosaur eggs to eat the contents of them.